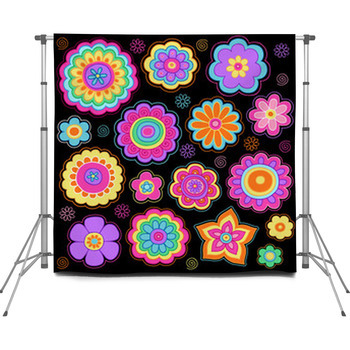 It's always fun to look back at old family photos of the 60s and 70s, but with our hippie backdrops you can help your photo clients create new memories with those same styles and spirit. 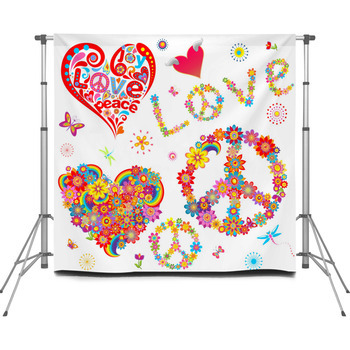 Pose your subjects in front of portable backdrops that feature the hairdos, guitars, peace symbols, rainbows, flowers, decked out vans and music festivals that capture the hippie energy and lifestyle. Hippie culture has its own set of jargon, and even its own style of writing those groovy words. 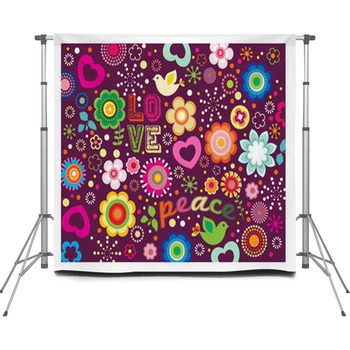 And we offer photographer backdrops that showcase both of these, such as 1970s written in bubbly gold letters on an earthy brown background beside foxy, flower power, far out, peace, love and more. Combine these hippie words with hippie images in a violet, blue, red, purple and green custom backdrop display that includes a crow's foot style peace symbol, an electric guitar, vinyl records and a wreath of flowers. Part of being a hippie is traveling around and spreading a message of peace and love. 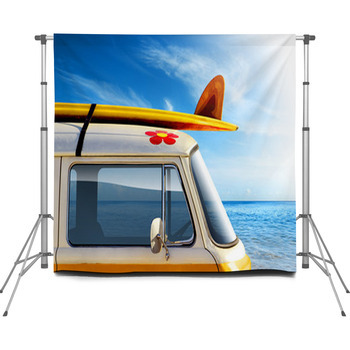 We have photo backdrops that showcase one of the quintessential hippie vehicles. A VW Bug is realistically illustrated with violet, green and reddish orange flowers painted on its yellow body. 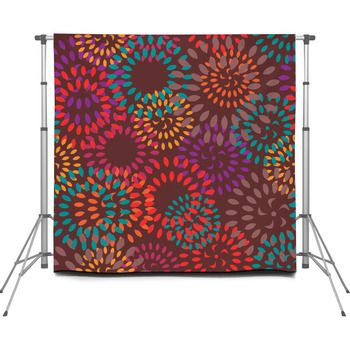 The orangish pink background of the portable backdrop is filled with a shower of more colorful flowers. You can also pose your subjects next to a simple distillation of the hippie ethos, with a rough charcoal pencil sketch of a peace symbol set on white. 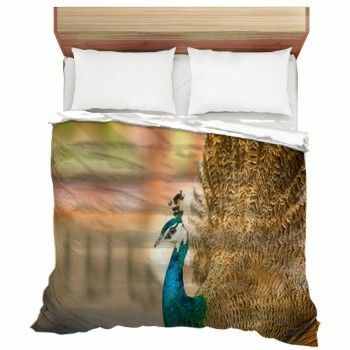 Teenage girls that dig retro fashions and vibes love our hippie backdrops picturing the golden orange silhouette of a lady standing atop a swirling orange, yellow, green, blue and purple rainbow. Her long hair is laced with fragile flowers and is flowing across the black background. 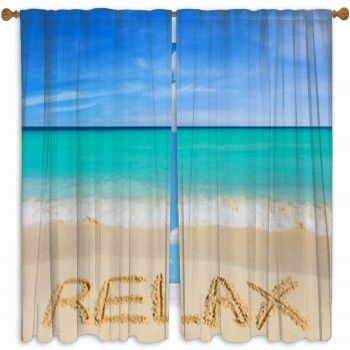 These backdrop designs are also available on studio decorations, such as wall art and banners.